← Out of Print News: Mardock Scramble Trilogy is leaving! Do you like live-action movies based on anime? I got some news for you. It has been announced by Funimation on Friday that they got the license to release home video sets of the Japanese version of the Death Note movies. 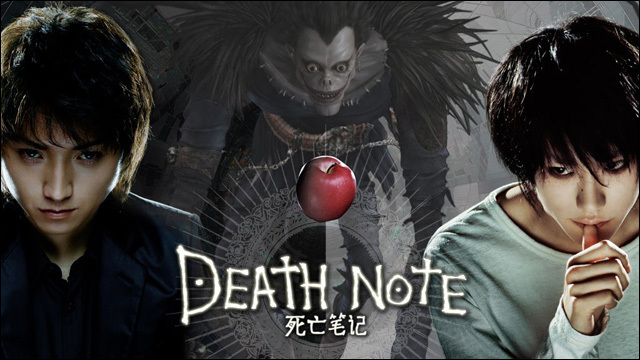 The movies that got licensed are Death Note, Death Note: The Last Name, and Death Note: Light up the NEW World. According to ANN, Funimation will release these movies in subtitled only. The first two movies will be bundled together and these three movies will be available to purchase on January 22, 2019. Here is a side note: The first two movies have a dub version with the English voice actors from the anime but they are owned by Viz Media. So if you don’t care about the dub and you only want the movies in Blu-Ray, DVD and digital release, wait for the Funimation. If you want to watch the movie in dub, you might have to look far and wide for the Viz Media versions. If you don’t like the American Netflix version, get these instead! Huh, I wonder why Funimation got these. Good question. Usually Viz is in charge of Death Note and the series. I guess FUNimation wants to be able to be the head of the live-action movies. They did this with Rurouni Kenshin and Attack on Titan.